Get ready to add a new hit to your slow jam, nostalgic pop playlist. 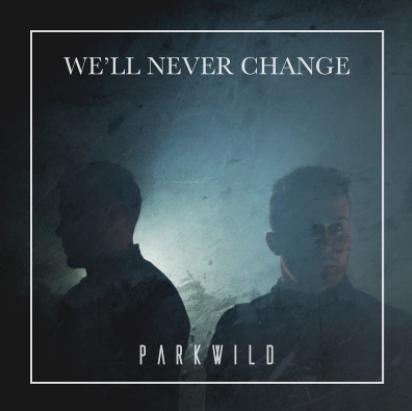 The alt-pop duo, PARKWILD, just released their second single “We’ll Never Change” on Thursday, and I promise you that it’s a must have in your playlist. After releasing their debut single “Too Late” earlier this year, I knew they would come back with another pop hit, and they did. What I love about “We’ll Never Change,” is that it’s a slow tune with a perfect dance beat. Imagine yourself driving with the windows rolled down, loving life, and dancing at all the red lights. This is that song that you’re dancing to. As for some background, PARKWILD consists of singer/ producer Austin Zudeck and producer/ multi-instrumentalist Justin Thunstrom. 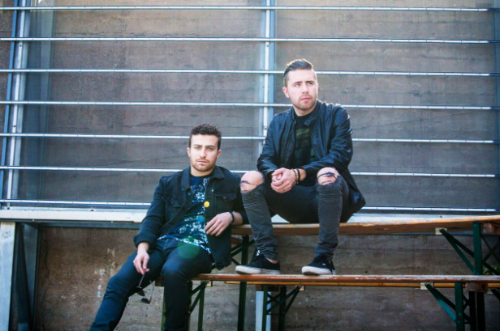 The guys are based out of New York City, and have been working together since 2011 but finally combined efforts to create their signature sound in 2016. I want to let the guys speak for themselves in the short interview below, but make sure you listen to “We’ll Never Change” - out now - LISTEN ON SPOTIFY. Hey guys! Thanks for taking time to answer some questions for me. To start off, can you quickly describe the style/vibe of your music in your own words? Yeah, PARKWILD’s music falls into an alternative/pop sound. We utilize the textures of ambient and bowed guitars, combined with a wide range of sonics from synthesizers to processed drums and our own curated samples to create an edgy yet spacious and dynamic base. Our lyrics and melodies tend to focus on honest and genuine concepts told through the lenses of our real lives, in a way that makes them relatable and familiar, while remaining new and fresh. Think Imagine Dragons meets One Republic meets Halsey. Very cool! Now, how did you two come together musically? When did you meet and how/when did you know that you were going to pursue a band together? Austin: We met at GRAMMY Camp in Los Angeles in 2011. GRAMMY Camp is run by the GRAMMY Foundation, the same people that put together the GRAMMY awards each year as well as advocate for rights for all music creators, and for the arts in schools/education. Every summer they do an intensive for high school students that apply and get accepted, to give them a taste of what the real music industry is like. Justin was going for electronic music/ music production, and I was going for singing. Justin: On the first night of GRAMMY camp, Austin got up to perform first at the open mic night. He performed a song called Fear Stained Heart that his old solo artist project had released. He blew everyone in the rooms mind with his vocal chops as well as his attitude and energy, and I knew right then that I wanted to work with him. Unfortunately at camp, we didn’t get that opportunity, so when I got back home I reached out on Facebook wanting to collaborate. For a year or so we collaborated online, until I decided to fly Austin out to Minnesota to do a trip for a week. We came out with some amazing songs and a realization that we shared a similar work ethic and that we could really compliment each other. Fast forward through college and going back and forth to each other on breaks.. Two days after graduation I moved out to NYC and the rest was history. We took our time to find PARKWILD’s sound, but once we did we haven’t looked back. So your new single, “We’ll Never Change”, what's the inspiration behind it? Austin: “We’ll Never Change” explores a defining moment in the life of a younger identity, struggling with the desire to become something separate of what the world expects of them. Both Justin and myself have experienced various moments of societal pressure, especially when pursuing something as difficult as music for a career. The song utilizes the frame of a young couple, out past the time they should be home, just talking about life and not feeling like they belong/ fit the mold of what people want them to be. What should we expect from PARKWILD in the future? Do you plan on going on tour? A full length album? We are taking it one step at a time, making sure to make the best music possible first, as that is the basis for everything. We are exploring opportunities to join some tours later in 2018, and we are currently playing a mini college tour of our own through April. We are definitely going to be dropping some singles along the way as well!